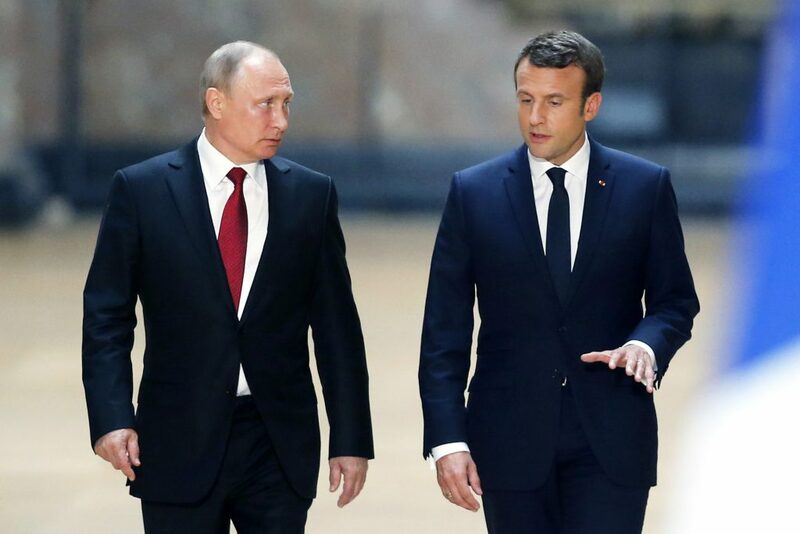 French President Emmanuel Macron will convene with Vladimir Putin today ahead of tomorrow’s St Petersburg International Economic Forum. The Iran nuclear deal will be the primary talking point, especially now that EU ministers have met with their Iranian counterparts. Last week, Putin and German Chancellor Angela Merkel discussed the pact, with both sides optimistic. Today’s meeting reaffirms broad commitment to the Iran deal from major signatories, with an economic plan of action likely to be outlined. All signs point to the EU “shielding” companies that invest in Iran against US sanctions with subsidies, while penalising those who pull out of Iran. The EU is already behind this plan, and Moscow could follow suit. This is a risky proposition, though, since third-party firms would be faced with a choice between investing in Iran or the US. Many of the European executives gathered in St Petersburg today would prefer to trade with the US over Iran, and this fact could render the Iran deal insignificant. French oil giant Total SA has already withdrawn a $2 billion-dollar investment from Iran due to US sanctions. Despite European cooperation, US sanctions may have dealt a death blow to the Iran deal’s practicality.